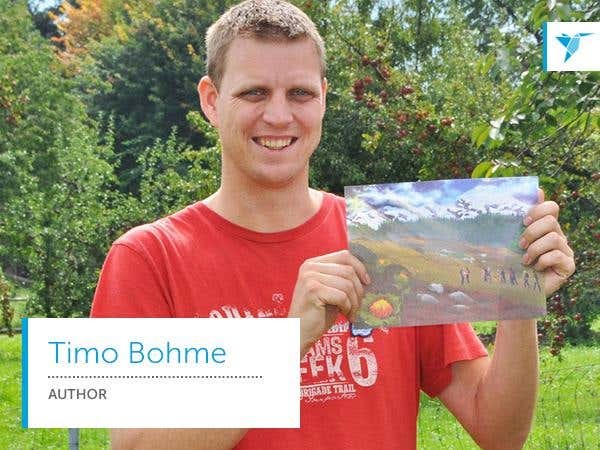 Timo Böhme had an emotional and vivid dream about the future and today’s fast-paced world. Inspired by its futuristic details and the idea that we may soon make that a reality, Timo turned it into a story and eventually an ebook. The images in his dream were so clear and precise that he started illustrating them to include in the book. After several attempts at sketching, he gave up and thought that it was better to entrust the challenging task to the hands of a capable painter. Timo asked friends and colleagues if they knew someone who was up for it. Eventually, he found a fair few, but their rates were at par to the standards of local artists in Switzerland. Unfortunately, Timo didn’t have that much money to spare for his creative project. “I don’t have the time and the funds to push with publication so for now, it’s going to be a keepsake. For that purpose, hiring local painters is not very cost-friendly,” he said. He thought of giving it up altogether. His story was finished, and that was more important. However, the images lingered in his head, and most nights he stayed up thinking about them. The landscapes were gorgeous, and although the story was set decades in the future, nature was bountiful. With the constant improvement of technology and industrialization, he thought the future would look different from the lush mountains and thick mangroves in his mind’s eye. The images wanted to be out on canvas and Timo had no choice but to continue the search. One busy day at work, he heard someone mention the word “outsource” and memories of his stint at vWorker, which merged recently with Freelancer.com, came rushing. Immediately, he logged into the site and posted a project. Continue reading Timo’s story here. Find someone on Freelancer.com to help you get things done. Post a project now! I'm the coordinator of Freelancer's Case Study Program. I write inspirational success stories of employers and freelancers. When not busy writing, I play video games. Nowadays, more and more people tend to freelance. Read this article and find out several awesome trends which rule in this industry. You have huge projects hanging over your head and have no idea how to plan. Millions of freelancers use Kanban to organize tasks. Here’s how? What is the Preferred Freelancer Program? We are looking for the best of the best freelancers who pride themselves in their workmanship and customer service abilities.